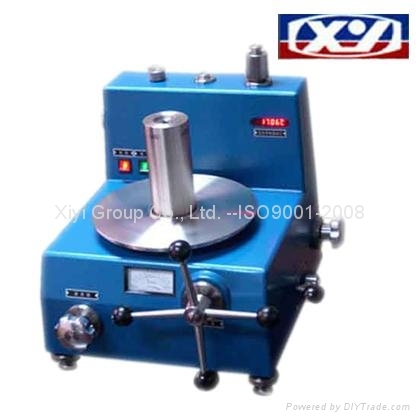 Every index of class 0.005 and 0.01 Dead Weight Tester of our factory has reached the international advanced level. The use: as working standard ( 0.005%) and high – precision measurements. ● Be used for working primary standard or calibrating high precision instruments. ● High sensitivity of piston gauge at the lower pressure makes sure the accuracy as follows: class 0.005 Dead Weight Tester is ±0.005% class 0.01 Dead Weight Tester is ±0.01%. That is to say: they have the superiority of wide range. ● Piston and piston cylinder are mand from WC hard metal alloy and polished by a fine furbishing process, so that the additional error of temperature and distortion error are very small the decline speed of piston is also very low , and the duration of free rotation of piston is very long . Hence the useful lifetime of piston system is excessively long. ● Piston gauges with the upper pressure 60Mpa , 100Mpa, 160Mpa, 250Mpa , 500Mpa using Di-(2-ethylhexyl) sebacate as the pressure medium also greatly improve the sensitivity of piston gauges due to the low viscosity of liquid, whose viscosity is only 20 to 25mm2/s.